Continuing Professional Development is the organised continuation, improvement and broadening of knowledge, understanding and skills, necessary to maintain professional competence. 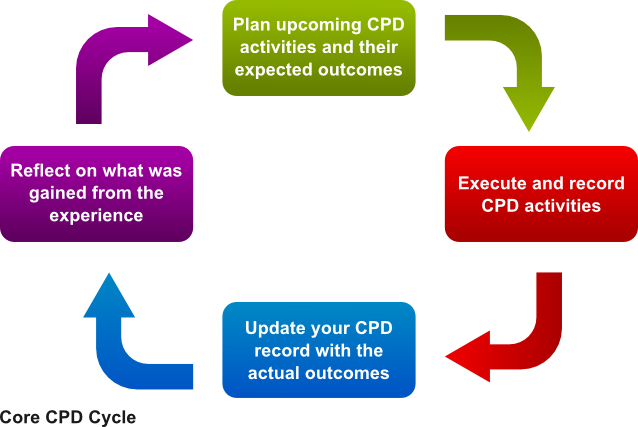 CPD is the process of planning, documenting and reflecting on the skills, knowledge and experience that you gain both formally and informally as you work, beyond any initial training. It is a combination of approaches, ideas and techniques that will help you manage your own learning and growth. All of our courses are awarded a number of hours which can be used towards any relevant CPD Scheme you are already part of. It is a general requirement of ALL Dewpoint Professional Accedited Members to actively engage with CPD, as stated in the Code of Professional Conduct.